For the last three decades, Dr. John Exner's Comprehensive System has been the leading approach worldwide to administering and interpreting the Rorschach test. 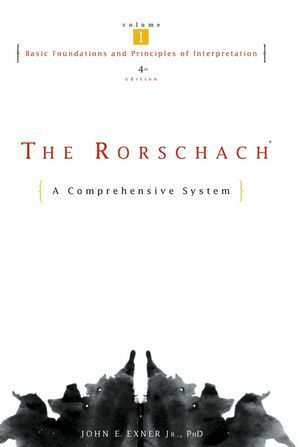 The Rorschach: A Comprehensive System, Volume 1, Fourth Edition retains the thorough, authoritative coverage that has kept this book at the forefront of the field, while combining approaches to both evaluation and interpretation for the first time in a single volume. This new edition provides updated research and information on administering, scoring, and interpreting the Rorschach test, as well as new normative data, coverage of recent controversies and criticisms of the test, and illustrative case studies. The Rorschach: A Comprehensive System remains the most enlightened and influential guide to the test. JOHN E. EXNER Jr., PHD, is Professor Emeritus in Psychology at Long Island University in New York; Executive Director of the Rorschach Workshops, which he founded in 1968; and Curator of the Rorschach Archives and Museum in Bern, Switzerland. He is past president of the International Rorschach Society and has received numerous awards including the American Psychological Association's Distinguished Contributions to Knowledge Award in 1997. Dr. Exner is the author of many scholarly works, including eight books on the Rorschach test. 12 all new chapters --including 9 new chapters on interpretation. 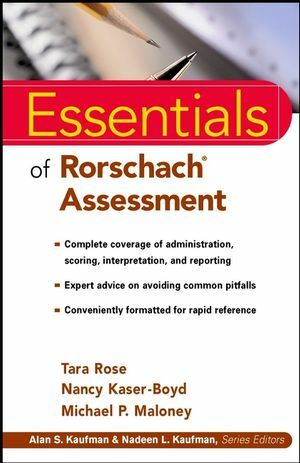 New edition offers a comprehensive guide to administering, scoring, and interpreting the Rorschach. Includes the Revised Normative data. New chapter addressing the recent controversy and criticism of the Rorschach. 17 full length cases to illustrate how to use the system. Considered the classic resource for learning how to properly use and interpret the Rorschach test. Written by the most recognized and respected scholar in the field.